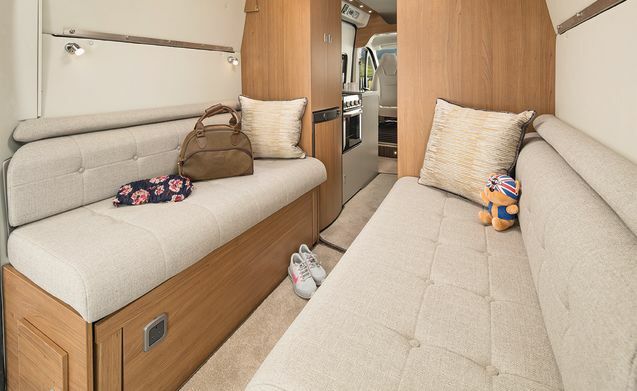 This brand new 2018 model compact campervan is deceptively roomy at around 6 metres long and comes with 4 belted seats and 4 sleeping spaces. 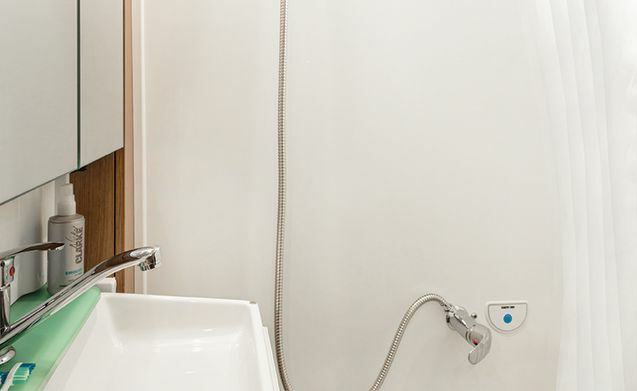 It’s ideal for a family or for a group of friends. 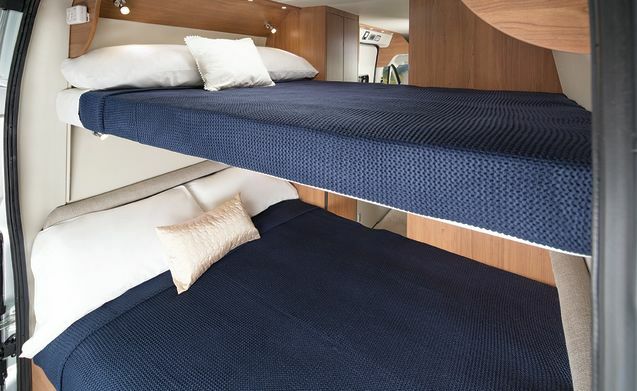 You’ll sleep in really comfortable double bunk beds in the rear of the van (the upper bunk can be removed if only 2 people are using the campervan). 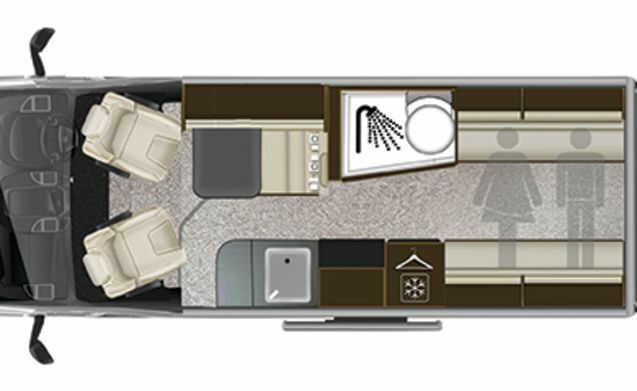 At the front you will find a seating and dining area with space for all 4 passengers. 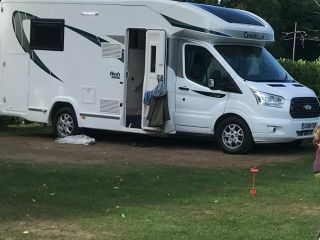 The kitchen has a stove, sink, fridge and oven and all the crockery, cutlery, cookware and glassware that you will need. 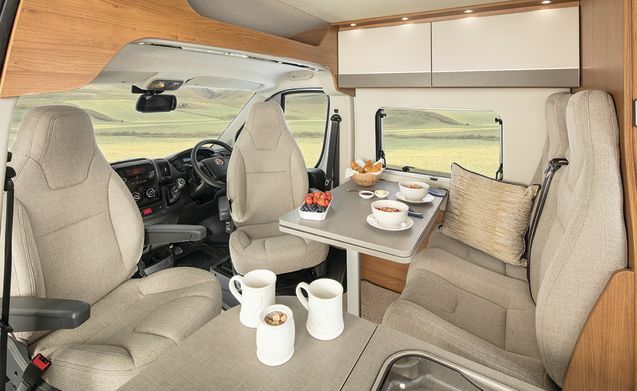 You will also find a TV/DVD player, AM/FM radio with USB/iPOD connection, Bluetooth, in-cab air conditioning, dual-fuel central heating, wind-out awning, outdoor chairs and a table. 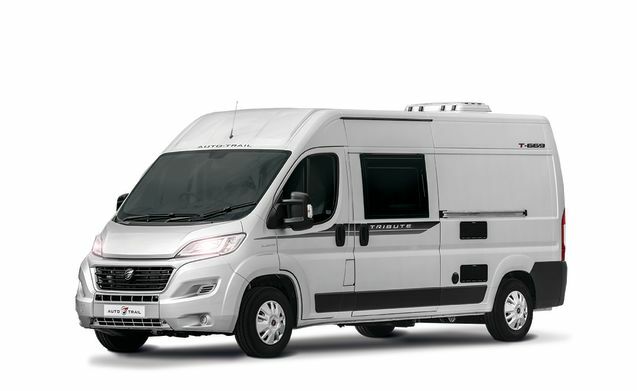 The Tribute 669 is built with a powerful Fiat Ducato diesel engine with 6-speed manual transmission, cruise control and a reversing camera. Everybody who rents this van says what a delight it is to drive. 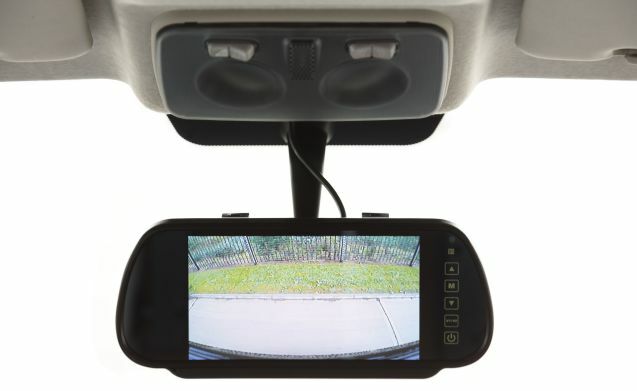 The vehicle comes with a full tank of petrol, LPG gas, fully comprehensive insurance for 1 driver, unlimited mileage and roadside assistance.